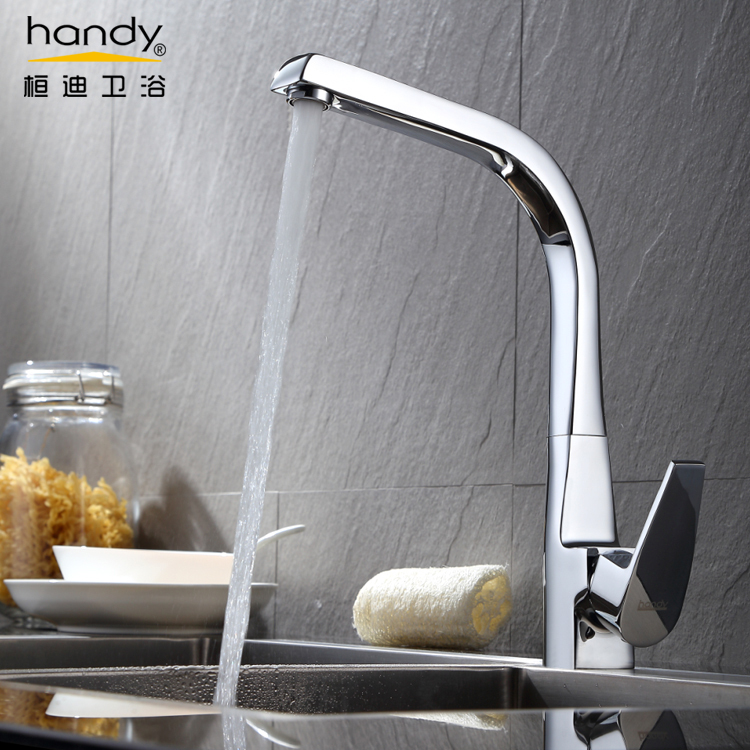 360° Swivel Spout Kitchen sink mixer is convenient to operate. Outlet water pipe can be 360° swivel. Single hole deck mounted, easy to install. Kitchen sink mixers` main body use low-lead brass gravity casting. The surface treated by 8 - 12μm thickness electro plating, polished chrome finished looks like a mirror, bright and corrosion resistance. 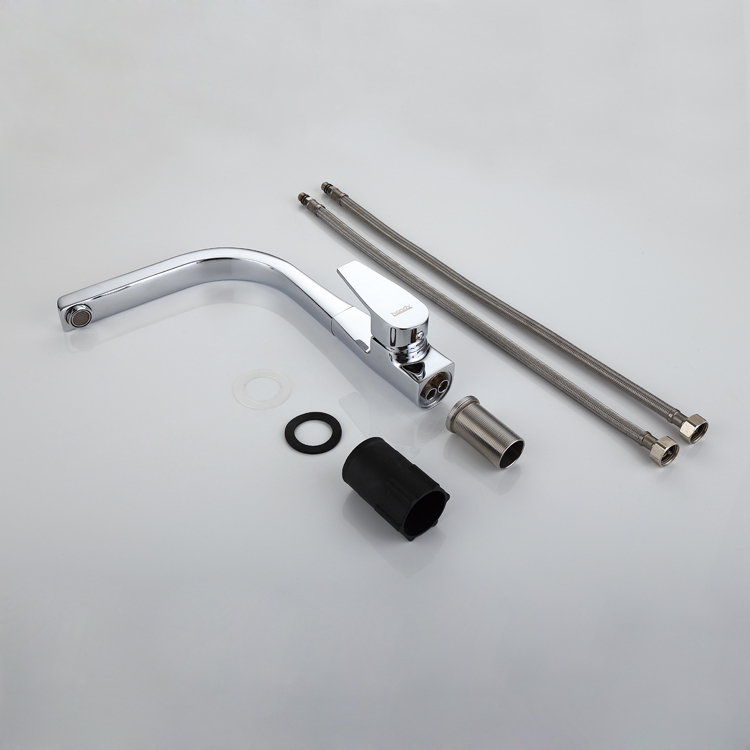 Two pieces of 50cm length flexible hose include in kitchen sink mixer package. Kitchen sink mixer tap is one of the most constantly used items in your kitchen, so we place huge importance on creating products that stand the test of time and make your kitchen a more wonderful place to cook. Material: Low-lead Brass gravity casting body. Braided hose: 2 * 50cm cold and hot water inlet hose. Packaging: Standard export package or DIY package. Fields of applications: kitchen sink mixer taps, Home Kitchen Taps, Commercial Kitchen Taps, pipe swivel kitchen tap, lever kitchen taps, single kitchen taps. 3) Don't use vapor when supply hot water. 4) The temperature is no more than 85° when supply hot water. 1) Please clean the impurity of plumbing, like mud or sandy etc before you install this kitchen sink mixer. 2) This product is passed function test, please don`t dismantle the cartridge, you can be sure to use it. 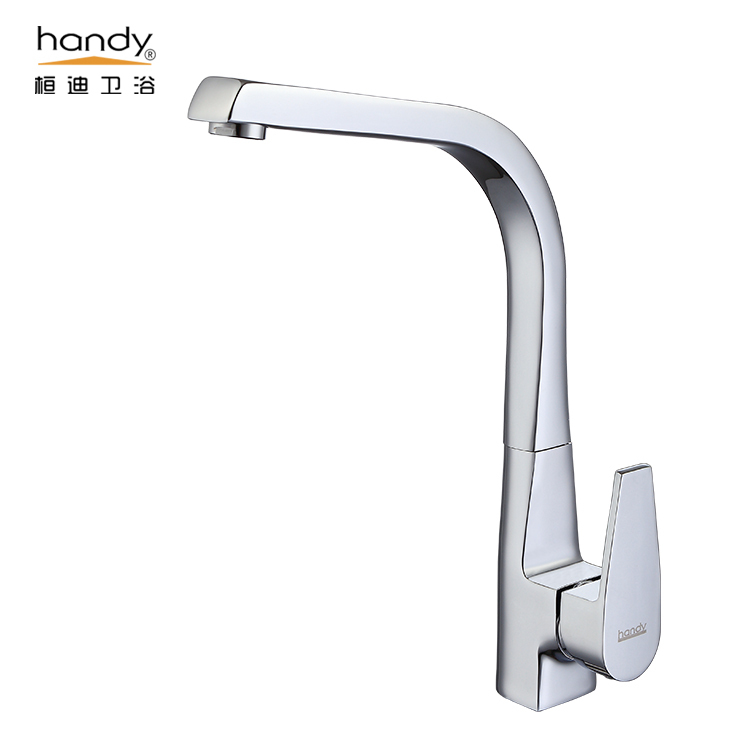 A: Yes, we are the direct manufacture factory, and our factory has specialized in faucets and sanitary wares since 2002. Q2: Do you have stock products to sell? A: Yes, we have stock ready to sell for regular models. 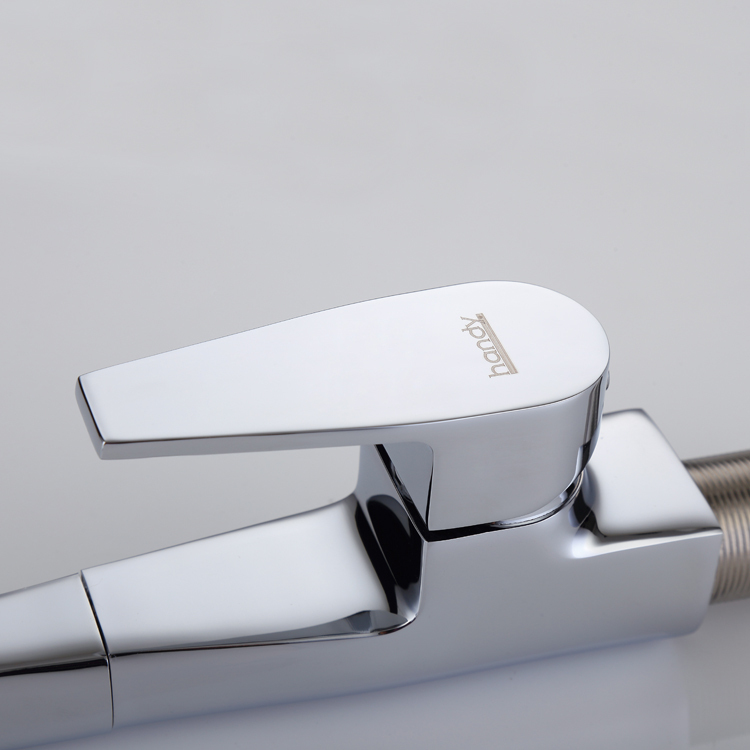 Q3: Can you put our LOGO on the faucets? Q4: How about payment terms? 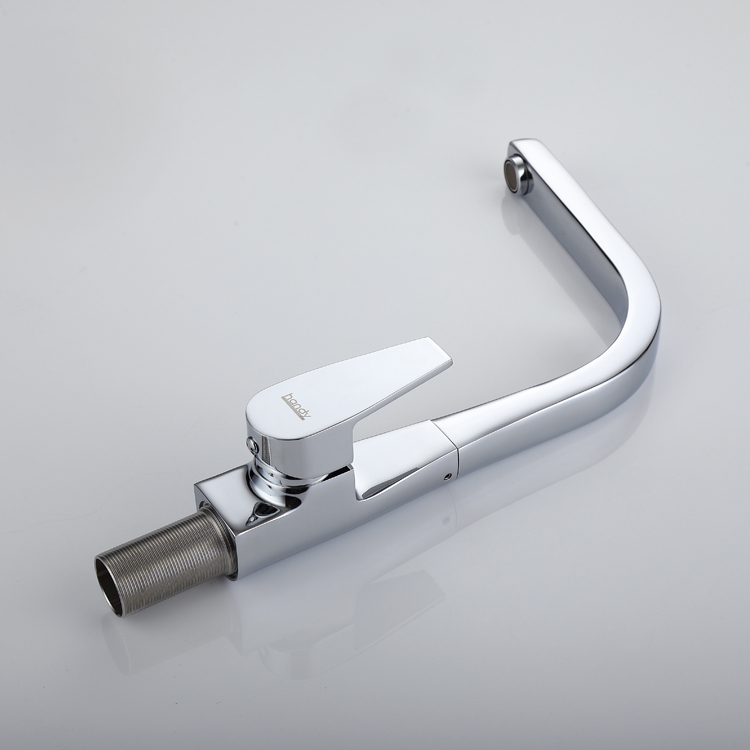 Looking for ideal Kitchen Lever Mixer Taps Manufacturer & supplier ? We have a wide selection at great prices to help you get creative. All the Kitchen Sink Swivel Spout Mixer are quality guaranteed. We are China Origin Factory of Single Flow Kitchen Sink Mixer. If you have any question, please feel free to contact us. Copyright © 2019 SHENZHEN KING OF SUN INDUSTRY CO.,LTD All rights reserved.